If you’ve been reading my blog since last year, you may be aware of the annual celebration of all things Barbecue that is Grillstock, Bristol – I go on about it enough. What makes me go back each year? Do I go for the beer? 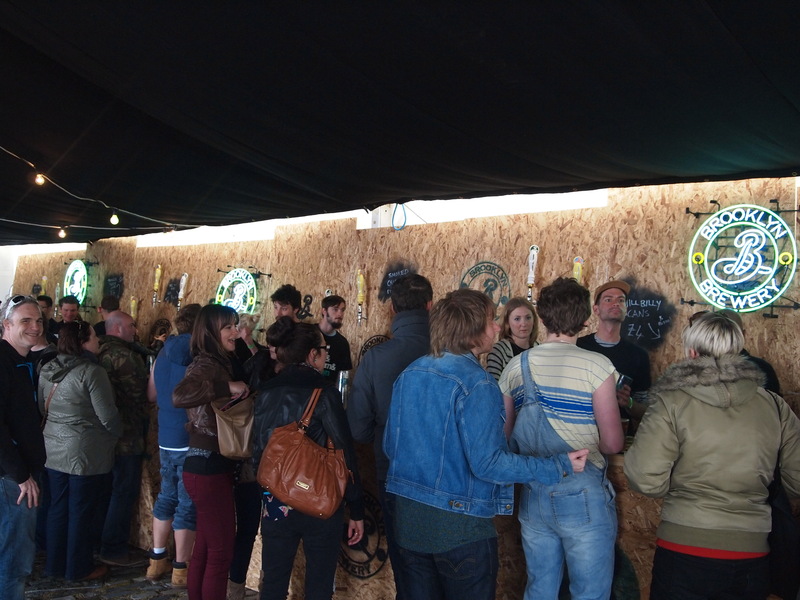 Although you don’t generally go to Grillstock for the beer, there has always been some decent suds on offer. The first year Bristol Beer Factory did a sterling job with a good mix of regular and not-so-regular stuff. The second year they maybe underestimated how much beer they needed and only brought the standard brews but lucky for us a local farm store had pitched up and were selling a grand selection of bottles including some from local heroes Arbor. Grillstock 2013 brought in the big-guns, featuring the not-so-local Brooklyn bar run by beer giant James Clay serving mainly unidentified Brooklyn beer at between £4 and £5 for a pint along with a couple of rotating guests from Magic Rock and Flying Dog. As outdoor event beer goes, you don’t get better value than that but I went away less than impressed at the contempt they showed for their customers and their beer. Call me old fashioned but I love to know what I’m drinking, even if it’s just to lord it over my Untapp’d buddies. Sadly Grillstock took the stance that their punters would rather get drunk on cheap pints of strong beer and couldn’t care less what it was! 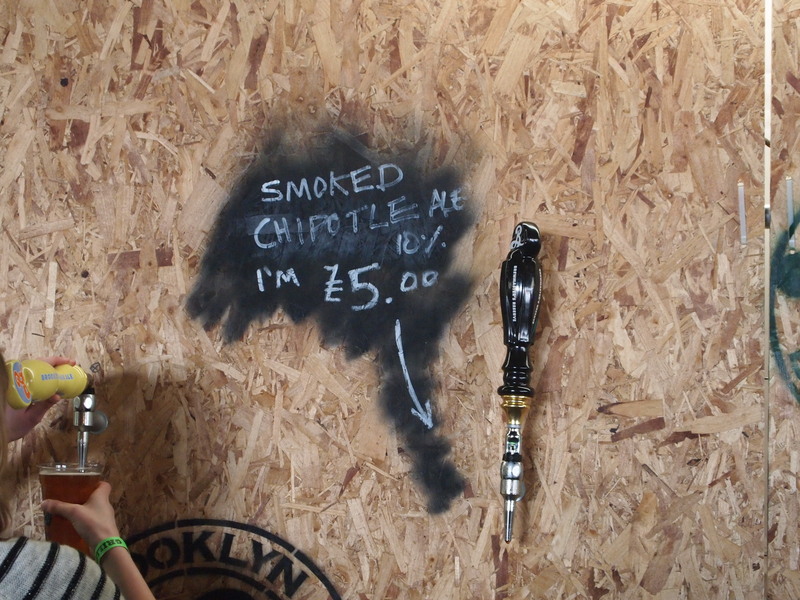 My first beer of the weekend was from the guest tap and named on the chalkboard as ‘Chipotle Smoked Ale’ at 10%ABV and available only in pints – way to go for responsible daytime drinking! Over the course of the weekend, several beers came and went from the guest tap – later on I was excited to see the name ‘Flying Dog’ written up and hurried to the bar to find out which one it was. Unfortunately nobody serving at the bar had even the foggiest idea what on earth they were selling. Sadly I had to argue that ‘Flying Dog’ was the name of a brewery and not a beer by Brooklyn! No problem though – I was reassured of the most important fact about the beer many times – it’s 10%! Hooray – regardless of what it was I could get drunk – yippee! Grillstock missed a trick – based on their bar staff’s opinion of the type of crowd they were expecting they could have made a better markup on Buckfast! Several days later I finally found out that it was actually the Flying Dog Chipotle Brown Ale, also sold earlier in the day as Chipotle Smoked Ale. It was actually a pretty awesome chipotle beer with a gentle build up of heat – it’s a shame the Brooklyn Bar staff felt such a skilfully brewed beer didn’t deserve the respect it would normally get if it was served by people that genuinely care about their customers. So, would you go to Grillstock for the beer? Maybe but be prepared to bring your detective hat if you want to identify what any of it is. Of course, it’s a barbecue festival so mainly you go for the food right? Wrong. As a lover of ribs, this is usually one of the ultimate highlights of the festival season. I can genuinely say that the best rib I ever had was Grillstock 2011 – I can almost still taste it if I think about it. I had pretty high hopes this year and rushed to buy tickets early, especially since the organizers were tweeting about the tickets having almost run out months in advance. So guess how many ribs I had over the two days? How many? One single rib! Having posted multiple warnings on Facebook and Twitter about tickets running out, I think possibly Grillstock may have been slightly overcome by the kerching of the cash-money and sold too many tickets meaning there were way too many people and not nearly enough foods. A number of stalls ran out of key items half way through the first day and they were still selling tickets on the gate! I have no idea if there were even any ribs to begin with. The low point was reaching the front of the queue to buy a pulled pork sandwich having queued for over 20 minutes only to find that too had run out. To add insult, the staff kept telling me ‘it’s only five minutes until the next lot comes out’ and theatrically looking around the back, then saying ‘I can see it’s being carved up now.’ After 10 minutes of this charade guess what? No pulled pork! I sadly ended up leaving hungry on the Saturday and took refuge in the always awesome Brewdog where I managed to tuck into a delicious cheese platter and some of their always exceptional beers including one of my all time favorites Tokyo (18.2%ABV) – strong but served in sensible measures. Bristol Brewdog you guys never let me down! Things were looking up for Sunday though – having spotted my various tweets bemoaning the general lack of barbecue food for sale, be it pulled pork, ribs, brisket, Grillstock sent me a reassuring message to say if I came back there would definitely be ribs. Sadly, like their stance on the existence of a fine brewery known as Flying Dog, their tales of fresh pulled pork and their claim that the tickets had sold out, the promise of ribs also turned out to be a lie. That solitary rib I finally managed to procure? The kind and talented BBQ Fanatics team, hearing about the lack of barbecue food for sale, cooked up a few racks on the Sunday afternoon to give away to the hoards of disappointed meat lovers and it was heaven on a bone. So, I hate to say this considering Grillstock is a food festival, but don’t go to Grillstock for the food. Particularly if you love barbecue as much as I do. 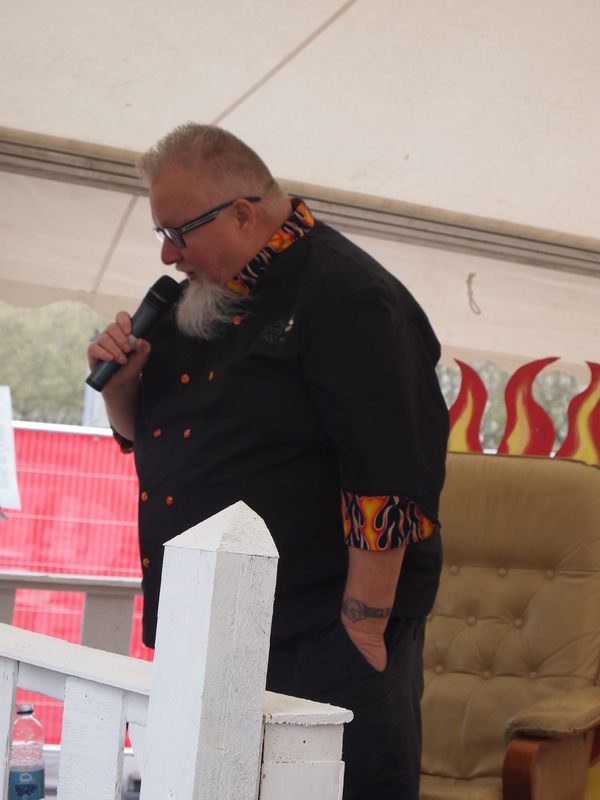 Of course there were some highlights – as ever Dr Barbecue was bringing his jovial brand of judging to the King of the Grill competition and it was fun to watch some of the best barbecue teams in action. The chilli-eating competition was particularly excruciating to watch, especially after a poor chap gave himself an eyeful of naga, ghost pepper and who knows what else and had to be escorted to the first aid tent (and possibly on to A&E)! Despite the genuinely confused bar staff, the Brooklyn Bar area turned out to be the most fun spot to hang out with a free photo booth and music provided by the likes of the fabulous Sicknote Steve and the man who brought the sunshine to an otherwise rainy weekend, Levi Roots. I really want to go to Grillstock again for the entertainment but sadly you can’t have a barbecue festival unless you actually have some barbecue available for visitors to buy! I’ll be looking forward to their new restaurant opening next month in Bristol – I’m hoping to even eat something there but my love affair with the festival may be at an end.